Multiple sclerosis and other diseases attack the myelin, a sheath that insulates the nerves. 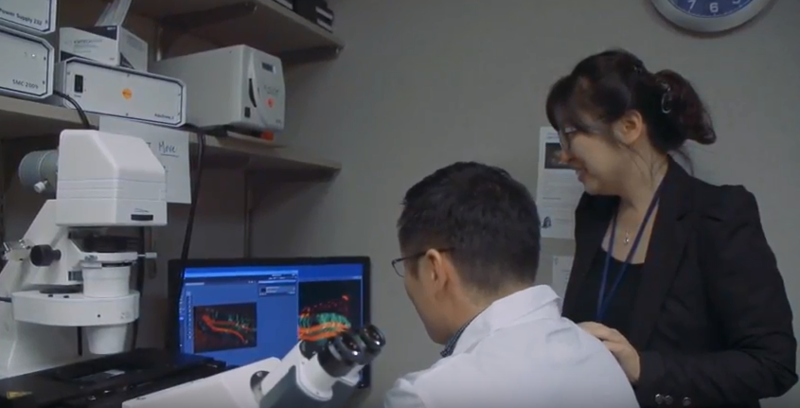 Mi-Hyeon Jang, Ph.D., is investigating the underlying molecular mechanisms of myelin regeneration in an effort to develop a therapy to help patients. Dr. Jang is a research grant recipient from Regenerative Medicine Minnesota. She is Assistant Professor of Biochemistry and Molecular Biology and Assistant Professor of Neurosurgery at Mayo Clinic.